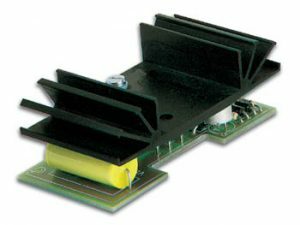 Door Minder Infrared Beam Sensor Kit – CK1620. Soldering required. This Door Minder Infrared Beam Sensor kit uses an infrared beam to monitor door & passage-ways or any other area. When the beam is broken a relay is tripped which can be used to sound a bell or alarm. Suitable for detecting customers entering a shop, cars coming up a driveway, etc. The IR beam is very strong. Distances over 25 yards can be monitored with this Kit. This Door Minder Infrared Beam Sensor kit uses an infrared beam to monitor door & passage-ways or any other area. 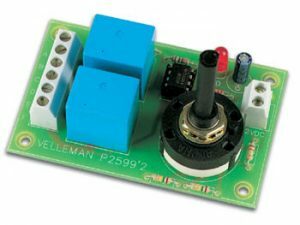 When the beam is broken a relay is tripped which can be used to sound a bell or alarm. Suitable for detecting customers entering a shop, cars coming up a driveway, etc. The IR beam is very strong. Distances over 25 yards can be monitored with this Kit. 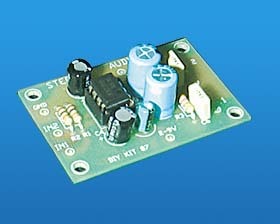 A 12VDC supply is required to power the kit. A 12V wall adaptor is fine. Provision have been made so that only one power supply needs to be used to power both units. 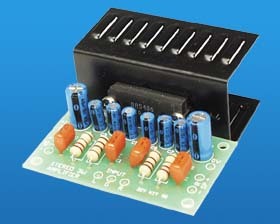 The relays in this kit are rated to switch mains voltages. DIY K130.